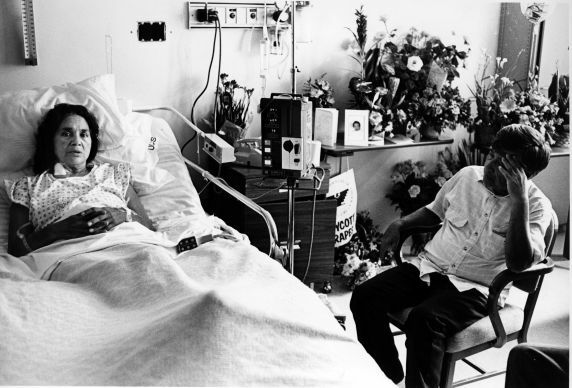 Cesar Chavez visits with Dolores Huerta as she recuperates in hospital after being assaulted by the police. The assault occurred during a protest rally against President H.W. Bush in San Francisco, California. Huerta was beaten with a police baton, resulting in several broken ribs and a destroyed spleen.